Thirty jobs are to be created through a new £1.5m digital Pharmacy opened in Liverpool, aimed at helping people living with chronic care conditions to manage their medicinal needs through artificial intelligent mobile app ‘Now Patient’. 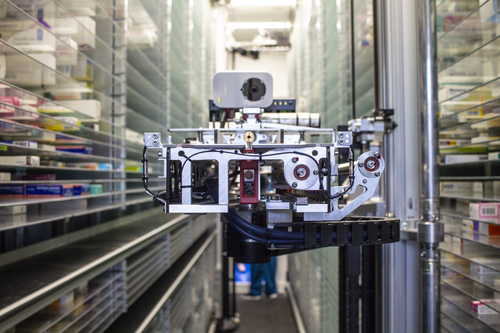 The NHS approved tele-Pharmacy ‘super-hub’ - Now Pharmacy, will be able to dispense around 500,000 prescriptions per month and will be utilising the latest robotic technology to help smooth the distribution process. Liverpool is one of the 20%* most deprived health districts in England with life expectancy 10.8* years lower for men and 7.8* years lower for women. People in one area of Liverpool are living on average 11 years less than people living just five miles away. Data from the city's ward profiles shows residents in both Church ward in Allerton and nearby Childwall have an average life expectancy of 85.3, compared to residents in Kirkdale who have an average life expectancy of 74.3. Now Patient launched onto the market in October 2017 and to date has had over 70,000 downloads. Visit www.nowpatient.com or download the app today. *Stats from Public Health England July 2018. This press release was distributed by ResponseSource Press Release Wire on behalf of Now Healthcare Group in the following categories: Health, Consumer Technology, Business & Finance, Medical & Pharmaceutical, Computing & Telecoms, for more information visit https://pressreleasewire.responsesource.com/about.